by Elizabeth Hofheinz, M.Ed., M.P.H. For many people, hearing the word “sales” sets off a chain reaction of negativity. Instantly, your brain forms images of a guy with an avalanche of words flowing from his mouth “… and this can be yours for the bargain price of …” Exit, where is the nearest exit?! you think to yourself. Alright, he’s going to try to manipulate me. I’m trapped. Time to put the boxing gloves on. This cultural shadow/stereotype of the pushy, non-listening salesperson has been around for some time. In order to be successful, salespeople have to acknowledge and deal with this negativity that at times can haunt their interactions. So, let’s look back in history for some answers. 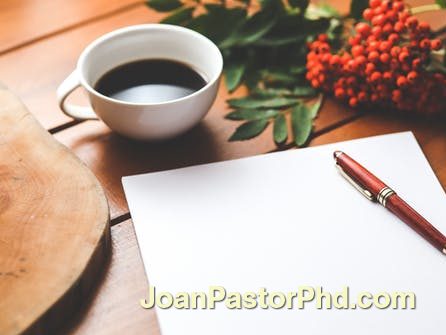 According to Dr. Joan Pastor, who has a Ph.D. in both clinical and industrial-organizational psychology and is president of JPA International, Inc., the stereotypes of salespeople emanate from the days when traveling salesmen went from town to town peddling their wares. Second, check yourself as you prepare for and interact with buyers. Ask yourself, am I dragging any negativity into the meeting? (Lost a fight with your spouse last night?) Is my confidence level high (I know my product and feel my profession has genuine worth) or low (I’m just another salesperson–why would she want to listen to me?). Keep in mind this little known fact: the more senior you are in any company, the more selling you have to do. It’s true. You are part of the most valuable of all professions and you do what CEOs do. If you are feeling on-par with the buyer, you will feel less pressured (more relaxed). The buyer will sense that and consequently let his/her defenses down. It’s less struggle for the both of you. If you are not feeling confident about yourself and/or your profession, you could either let your anxiety get the best of you (an uninspiring presentation with a quick exit) or overcompensate by trying to control the buyer’s decision (your excess power needs rear their heads). Most likely, you don’t react well to people trying to control you–why would anyone else? To ensure that salespeople avoid these negative impressions, Dr. Pastor recommends six stages of the sales process that are targeted toward a marriage of the sale and the relationship. 1. Do your research. Not just on the product(s), but on the people you will interact with in the sales process. Don’t limit your thinking to the surgeon–you may spend a lot of time talking to office personnel. Learn something about them. 2. Listen, listen, listen. It should be a 20/80 conversation. You do 20% of the talking (including questions and educating), the surgeon gets 80%. During your 20%, be sure to ask about their level of satisfaction with the products they are currently using. Be sure you understand the surgeon’s expectations of both the product(s) and the sales relationship. 3. When stating the benefits of your product(s), tie your statements to the concerns the surgeon mentioned about his/her current products (For example, if the surgeon had problems getting another company’s implant in, you’re going to talk about how easily your product does go in, not talk about the price of your product). 4. Although it is good to be aware of the very real possibility of resistance during this process, don’t be concerned about questions as they indicate interest on the part of the buyer. If you sense an unusual level of resistance, however, you may need to return to one or more of the previous stages. In general, educate yourself on how to handle resistance and rejection in a professional manner. Try to see it as part of the job. 5. Negotiation. Perhaps by this stage you’ve succeeded in turning around any negative impressions. At this point, there should be a palpable interest on the part of the buyer. Or, there should at least be an awareness from both parties that there is a need for further discussion. If either of these conditions are met, then you would discuss who is going to be doing what in order to meet again. If the interest is not present, then your discussion will end. 6. Commitment. This is the time to summarize what each party has agreed to be the next step. This could be the actual sale or some other agreed-upon action (perhaps the surgeon may want to review the product with some colleagues). Looking at the bigger picture, you don’t have to prove your self-worth by getting the sale. You also don’t have to prove that your profession is worthy. If you go in confident that both you and your profession are quite acceptable, the only thing you have to do is be of service, make every surgery more reliable and more successful for your surgeon. That being said, if your gut knows that the product is worthy of your surgeon’s attention, you’re nearly home.